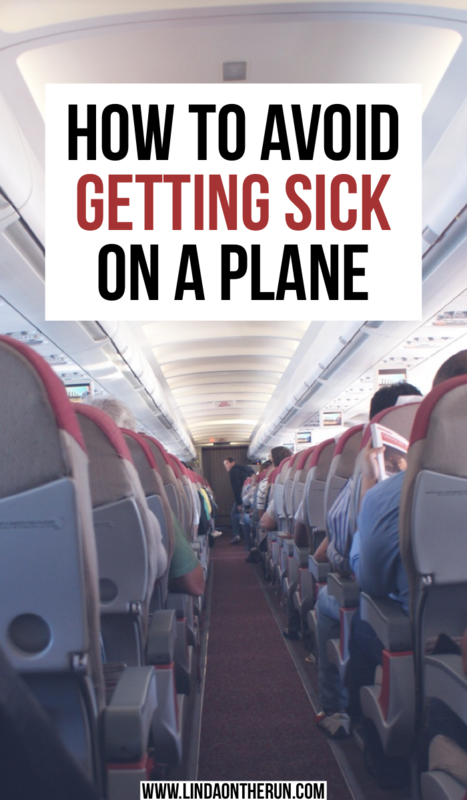 Are you looking for advice, practical tips and smart suggestions on how to avoid getting sick on a plane? Well, look no further because on my flight from Miami to Paris, across the aisle from me sat a visibly ill woman. Her eyes were red and glassy, her nose swollen, red and draining, and she had a violent uncontrollable moist cough. Yes, across the aisle from me for an eight-hour flight! Studies show more than 1 in 5 travelers who fly to their destinations suffer from colds or flu after their flight. 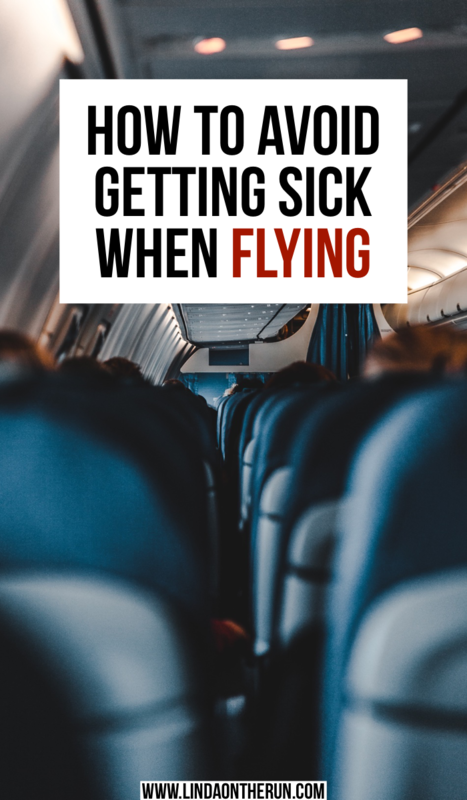 You certainly run the risk of becoming sick on a flight from directly inhaling particles in the air from someone else’s coughing or sneezing, or you can become ill if you touch an infected surface and then touch your eyes, mouth or nose. How can we avoid getting on a plane? And what did I do during my flight to Paris to prevent my across-the-aisle fellow passenger’s germs from ruining my trip? One of the most important tips on how to avoid getting sick on a plane is to remain hydrated. You have to work at it! Most planes fly at 30-35,000 feet elevation where the humidity is very low. Unfortunately, the humidity inside the cabin of a plane is usually lower than 15% thus drying nasal passages and the throat, and allowing the bacteria and viruses easier access to your lungs. To combat this, you must remain hydrated. Drinking water keeps your mucous membranes remain moist and better equipped to fight germs. Drink a bottle of water before you get on the plane. If bottled water isn’t your thing, carry your empty water bottle through security and fill it as soon as you are through. And continue to hydrate frequently for the duration of your flight. Some of the newer budget airlines do not provide soft drinks, coffee, tea, or even water to its passengers. So it is even more important than ever to bring your own water on board. And using your own nondisposable water bottle is not only economic but kinder to the earth. I never leave home without my Bobble water bottle. I personally like the 18.5-ounce size because it is not too heavy to carry when it is full. I make sure to really hydrate at the gate before I board my plane and then have a full Bobble full of water for the trip. Because the Bobble has a charcoal filter, I can carefully refill it in the plane lavatory and have fresh clean water to drink. If you prefer stainless steel this double-walled vacuum insulated stainless steel water bottle may be more to your liking. It comes in a variety of sizes and colors for you to choose from and is affordable. Remaining hydrated is an important step on how to avoid getting sick on a plane. Or, you can apply a small amount of Neosporin antibiotic ointment just inside your nostrils (using a Q-tip cotton swab or freshly washed hands!) Steam from hot drinks served on board like coffee, tea or hot chocolate is another way to keep your mucous membranes moist. On board your plane, a person with a cold or the flu who is sneezing or coughing can infect others. You are generally only in danger of catching their flu or cold if you sit within two rows or two seat lengths from the sick person. If you think a fellow passenger is a germ dispenser, ask to move your seat. You can be truthful about your situation or reason for the request, or volunteer to sit in an exit row, or closer to the bathroom, or switch places with someone who wants to sit with their family. If moving isn’t an option, consider these alternatives to protect yourself and avoid getting sick on a plane: if the offending person is seated behind you, don’t put your seat back which would bring you closer to them. If they are sitting in front of you, do tip your seat back to be a bit further away. Also, as still another option, travel with a face mask. Use it when you feel you have no other option. I like this washable and reusable germ protective face mask. It is antibacterial and comes in some cool designs. These Curad antiviral facemasks are another option on how to avoid getting sick on a plane. Germs can survive for hours or days after the passenger who brought them all on board has departed. Some of the 200 or so viruses that cause the common cold can infect people up to 18 hours after they have left the host. And flu viruses can infect people for up to 8 hours after they have left their host. MRSA and E-coli can live on the plane for over a week! There is simply no substitute for hand washing as the first line of defense against all types of illnesses and how to avoid getting sick on a plane. Wash your hands before and after you board your plane. Use a paper towel to turn off the faucet in the plane’s lavatory so you don’t pick up more germs before you leave the bathroom. Under your nails is where 70% of germs hide, so don’t forget to clean them. Carry alcohol-based hand sanitizer when you cannot wash your hands, and avoid touching your eyes, mouth or nose with your hands any more than you have to. I like this Purell Advanced hand sanitizer with the jelly carrier. This way you have extras, (one for your purse, one for your backpack, etc) and you can share one with your traveling companions. Also, pack disinfectant wipes like these Lysol on the go sized wipes and wipe down your tray table, armrests, seat belt buckles, remote control devices, television touch screens, and overhead air vent controls to help you avoid getting sick on a plane. 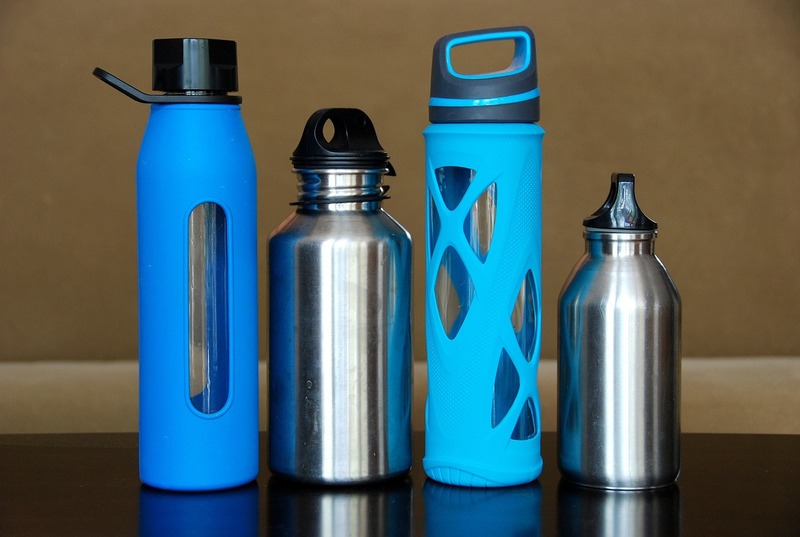 Don’t store personal items such as your water bottle, reading materials, or tissues in your seat back pocket. Keep them stashed in your carry on bag. For bathroom door handles and other public surfaces, use a paper towel or tissue as a barrier between your hand and the object. And ALWAYS wash your hands before touching your eyes, nose or mouth. 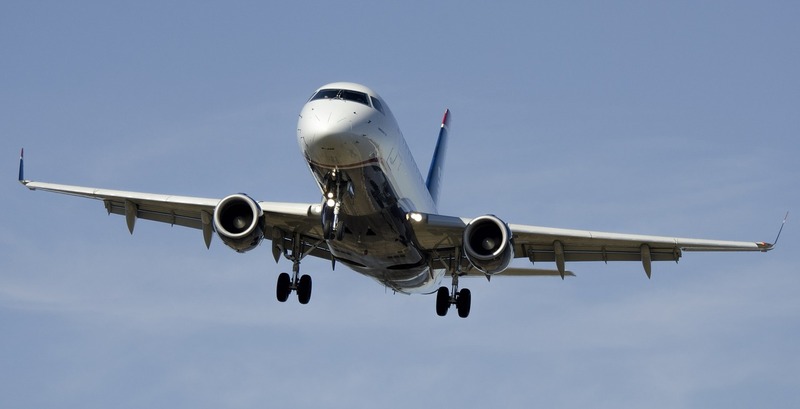 Lack of circulating air is one of the main reasons airplanes are breeding grounds for germs. Do not close your overhead air vent that is blasting that frigid air! Your plane’s actively recirculated air is filtered, and planes with good ventilation systems have lower cold and flu transmission than those that don’t. Also, the blowing air just might help push away germs that may float into your personal space from a nearby passenger and be the reason you avoid getting sick on a plane. Avoid aisle seats. 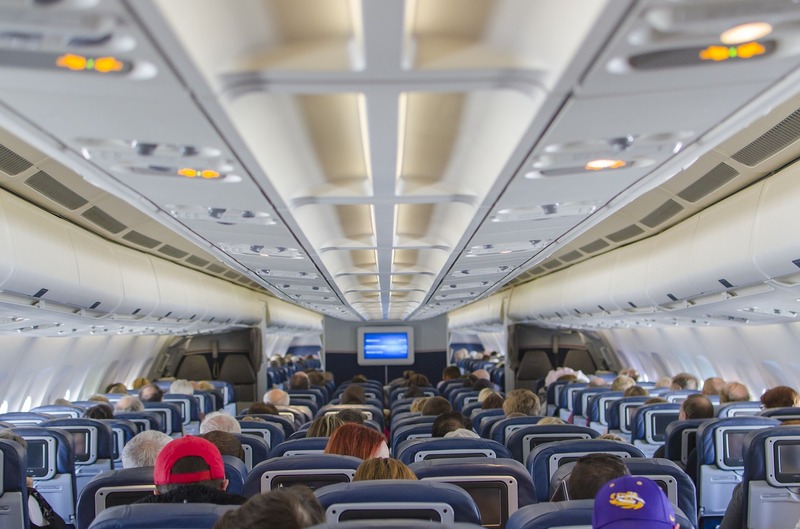 Sitting in an aisle seat may have you more at risk of being exposed to germs as you are closer to passengers who patrol the aisles for exercise or those coming and going to the restroom. People often tend to touch or hold aisle seats when walking up and down the aisles, contaminating them. Do not use airline blankets and pillows unless they are individually packaged is another great tip on how to avoid getting sick on a plane. Investigations have shown that airlines wash blankets and pillows every 3 to 5 days. Often freshly washed blankets will only be set out for the first flights of the day. Customers who board toward the end of the day risk receiving blankets or pillows that have been used several times during the day. I like a blanket when I fly so bring my own for flights longer than a few hours. I like this oversized travel blanket with its own carry pouch. Here is the same popular travel blanket in a compact size. This neck support travel pillow is a great option that can be secured to your backpack or luggage when in transit. I like that this travel pillow supports the head, neck, and chin in any sitting position. It comes in a lot of colors so you can pick one to match your luggage. So how did I fend off the offensive germs my fellow traveler was uncontrollably spewing into the air during my flight to Paris and how did I avoid getting sick on a plane? I made an extra effort to drink all through the flight. I made a conscious decision to sit turned inward towards my right and away from the aisle. I definitely cleaned my personal space with a lot of disinfectant wipes and covered myself for most of the trip with my blanket I brought on board. When I slept I even covered my head as the poor woman coughed and sneezed relentlessly all through the flight. Once I arrived at our Air B&B flat in Paris, I deposited my luggage in my room, and promptly put all my traveling clothes in the washing machine to clean! I made sure to hydrate and get extra rest to pamper my immune system. I did not get sick and enjoyed a week in Paris with my family. 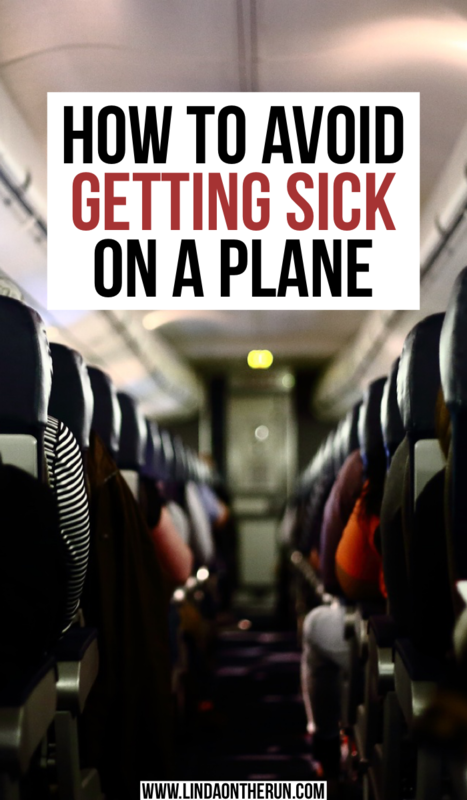 Do you notice you get sick after flying? What do you do to ward off colds or the flu before, during and after you fly? Leave your tips in the comment section below. Linda On The Run is a participant in the Amazon Services LLC Associates Program, an affiliate program designed to provide a means for sites to earn advertising fees by advertising and linking to Amazon.com. I keep a travel pack of Wet Ones wipes and hand sanitizer in my carry on. I do wipe down my arm rests and food tray on planes. People look at me like I’m nuts. Too bad for them! People look at me like I’m nuts too. But I do not care either. And more often than not, the wipes are so dirty when I am done with them. It is disgusting. usually they are asking me for a wipe as they never thought about it! What do you think of surgical masks? I almost always wear one on long flights now. In Asia, everybody does it, in North America, I get a few weird stares, but it’s becoming more and more common. To me, it’s worth a few weird stares to prevent getting sick! Hi Jane. A face mask is a great suggestion. I would definitely consider wearing one, especially on a long international flight. And I would not worry about a few weird stares. Would be well worth it to avoid getting sick! Thank you for the comment. Fab tips. I’m quite lucky that I havent caught a cold after a flight, but I imagine it must have been super frustrating to be so close. I feel for her though – it’s so draining travelling when you’re not feeling your best! Yes you are fortunate you have never gotten a cold after flying. 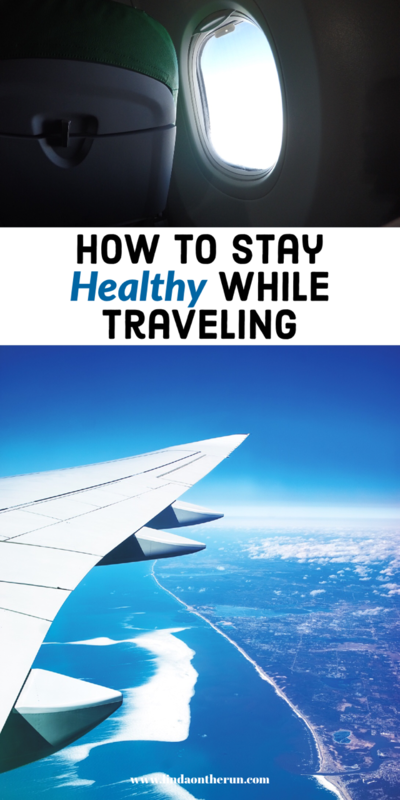 I hope my tips will add to your arsenal of things to do to prevent future illnesses on future travel! I get sick eeeeeeevery time I fly! I’m obsessed with disenfecting, but I need to sit in the aisle 😂 definitely going to try the nasal spray though! 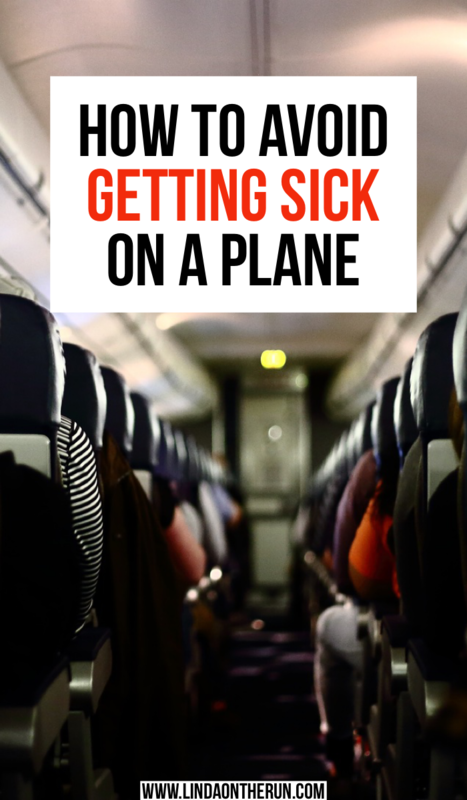 Oh, I def hope some of my tips will keep you from getting sick on future flights! That poor lady! I am surprised they let her on the flight is she seemed that poorly. I felt sorry for the sick traveling lady, she was really miserable. YES, thankfully all my tips kept me and my traveling family well to celebrate my daughter’s birthday in Paris! Hi I get motion sickness very easily on planes so I can’t read. I also can’t sleep. Why is tea bad? Coffee dehydrates you wouldn’t that be bad to drink on a flight? Hi Savannah tea dehydrates too. Stick with filtered water. Why can’t you sleep? I bring a eye mask and blanket to feel more comfy and sometimes ear plugs to block out the background noise. I love all of your tips and tricks to use I’m going to try using these the next time I fly. Thank you. I use all the techniques myself. I used to get sick after flying but have conquered all those germs! I think you will too. I love these tips, Linda. It mustn’t have been a nice flight experience for you or for her. I do seem like a germophobe when I travel because I sanitise/wash my hands constantly and wipe down everything, but when you’ve paid $$$ for a big trip, the last thing you want to do is miss out on it because of a lurgy you caught on the plane. I had a Chinese Medicine doctor tell me that coldness in the body, especially the feet, encourages infection and sickness, so when I’m flying, I try to keep my body as warm as possible by wearing fluffy socks, lots of layers, and wrapping my body in a pashmina scarf and Turkish towel (I don’t use the airline blankets either!). Those planes get so cold – no wonder it’s a breeding ground for viruses. I especially love the tip about the mucous membranes, I’ll be stocking up on some saline spray for sure! multiplying. I guess the same could be said for a cold airplane. I do find it interesting what when we are cold we put our immune systems at risk. I, like you, bundle up to stay warm when flying.